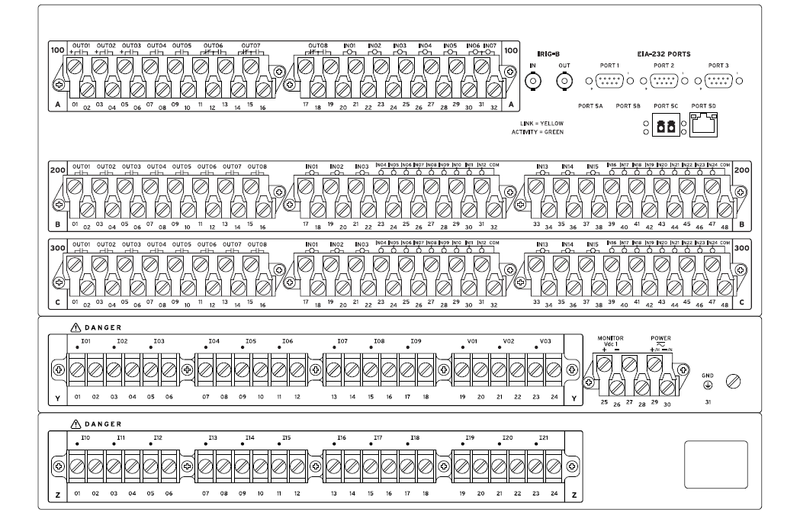 Protect bus systems with up to 21 terminals (21 CTs per relay, 63 CTs with a three-relay scheme), 6 protection zones, and 3 independent check zones. (For information about covering larger bus systems, contact us.) To optimize protection security, each check zone will supervise a designated phase in the system, and a patented open CT detection algo-rithmblocks potential misoperations during open or shorted CT conditions. 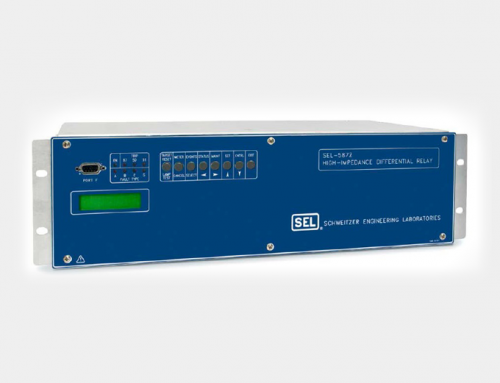 Differential and directional current elements provide increased security and fast fault detection. Reduce protection costs with built-in breaker failure protection. 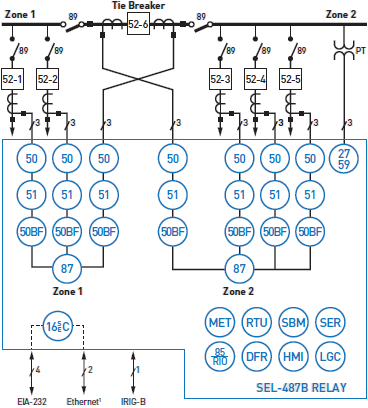 Implement different ratio CTs and nondedicated CTs with the SEL-487B Bus Differential and Breaker Failure Relay. Eliminate complex wiring by using CT ratios that differ by up to a factor of 10:1. Take advantage of the same CTs for differential protection, metering, backup relaying, and other functions. Reduce project costs and simplify interconnect wiring by using multiple communications protocols and ports. 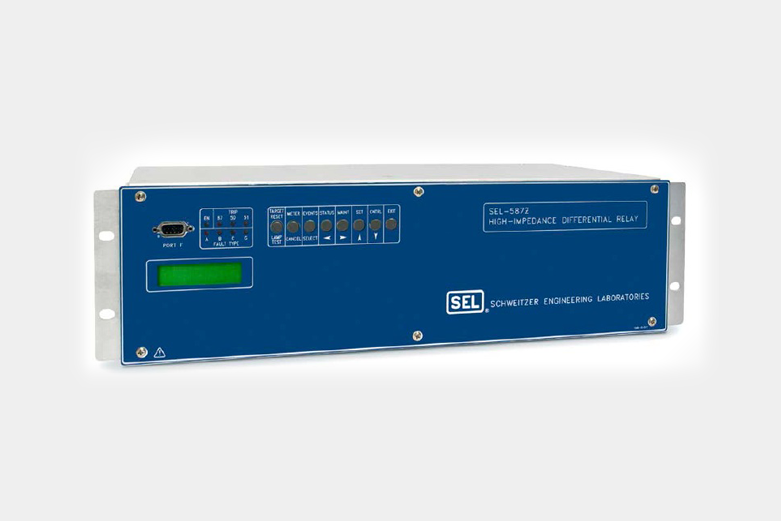 Configurable operator controls and simplified variable naming provide added power to SELogic® control equations. 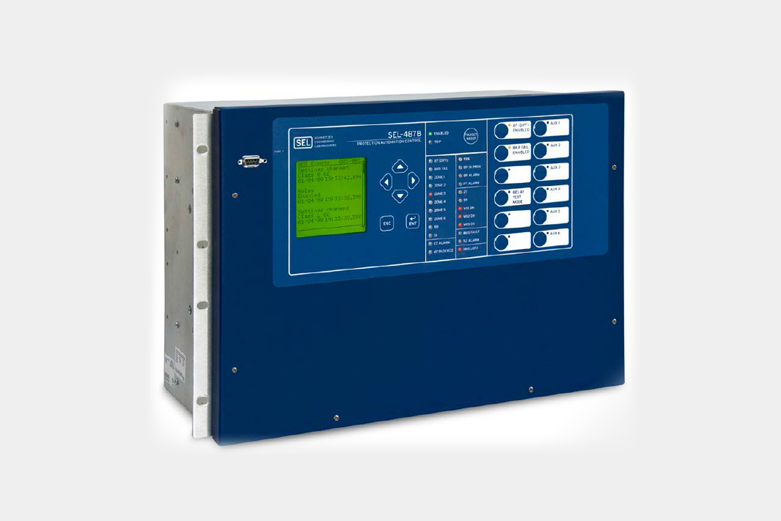 Provide accurate, timely monitoring and metering of busbar, feeder, and substation signals. 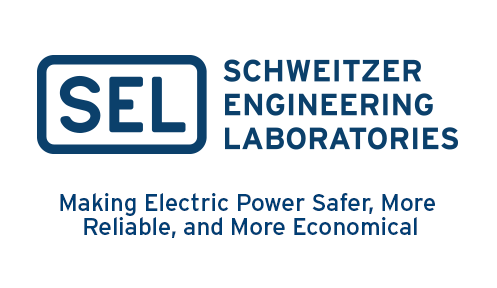 Terminal currents, breaker and disconnect positions, station dc voltage levels, and three-phase voltage are continuously monitored and updated. 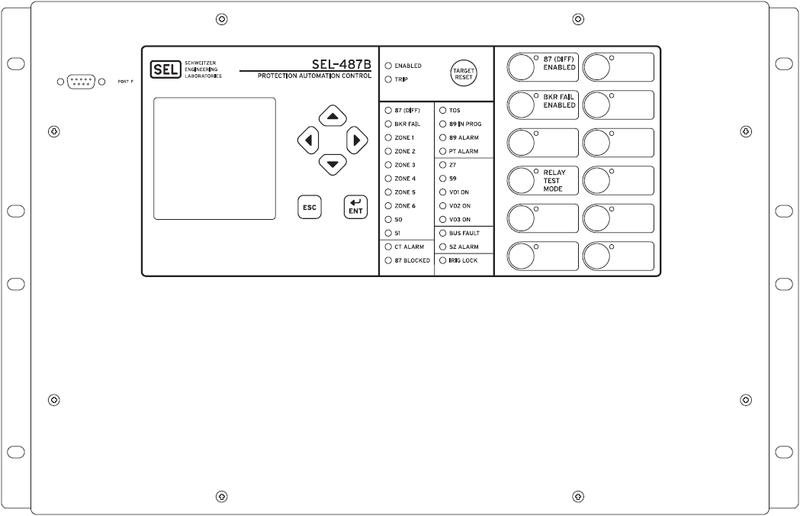 Indicate the relay configuration, who accesses it, and at what access level, with programmable alarm bits.